Testimonials from Indians & N.R.I. Problems- High B.P. , Pain in Legs & Knee, Gastric Problem,Migrain, Spondilytis, Constipation,Breathing Pro. Retd. D. G. M V J V N L Dehradun- Davender Kumar Sharma. Case History describe by the Guest- Held open Heart Surgery in APOLLO Delhi, Found clot in Brain, Medication was continue. 2-Precaution is better than cure. two days after one month and ones a year. After his trip we received his mail. We had a great experience. I felt very good after the trip. The environment that you have created is very healing and healthful. I wish we had more time to experience the beauty and the serenity of the place. It was wonderful talking to you. It will be a memorable trip for all of us. 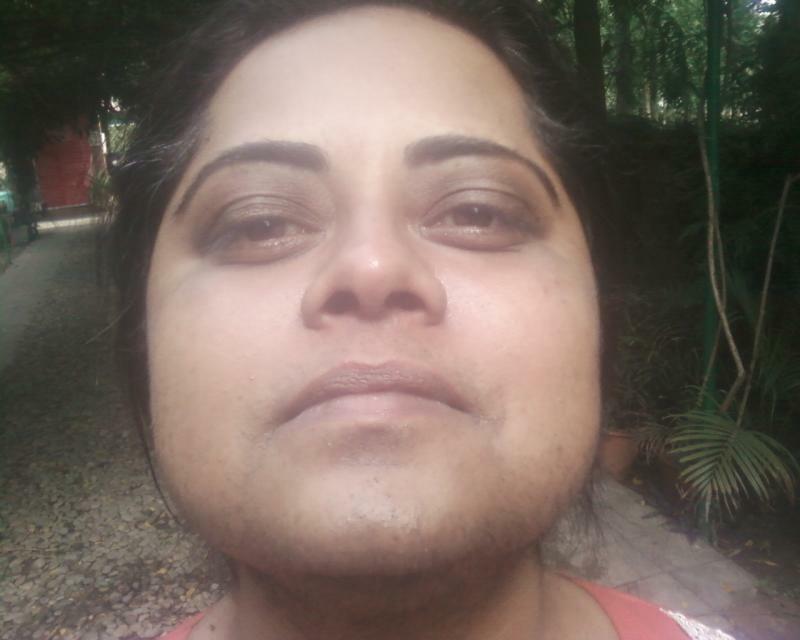 During my treatment,I wake up at7.30 a.m.Then we do our yoga exercise and herbal treatments. They always keep me busy.Guruji and our Dr keep me happy.As far as treatments concern they are doing their lavel best. Food is very simple and spice free as well good.I am feeling at home.Guruji is very great man.He always support me.He take care of me like his own family members. I suppose to come in summer instead of winter. But he is protecting me very well against cold.So far i am feeling fine but missing my wife and spicy food at home.Today i am living Ashram with my own accord. I donot have any problem.I am going to Delhi to accomplish my pending work. I will be back again very soon. N.R.I.Shri Rakesh Gupta,Adnan ( rESIDENT OF aHEMDABAD , gUJRAT ) for Body Servicing Program in King\Queen Package for 3 dayS. Shri Ram Nath Singh ex M. P.National Spokesmen, B.J.P. 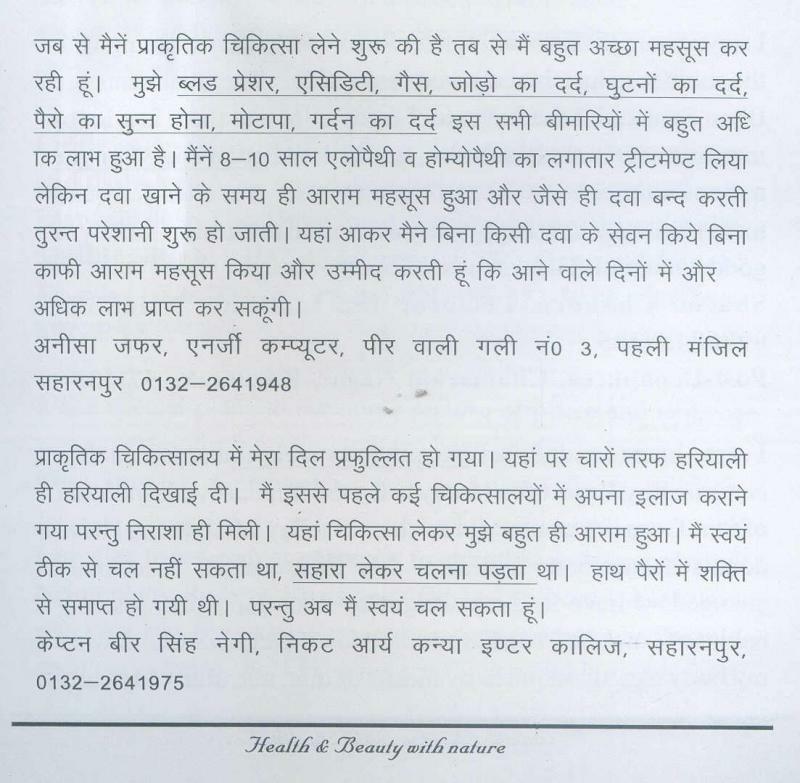 For Hernia,Digestive problem duration 19 days from 14 june to 1st june 2011 got 90% successful results.